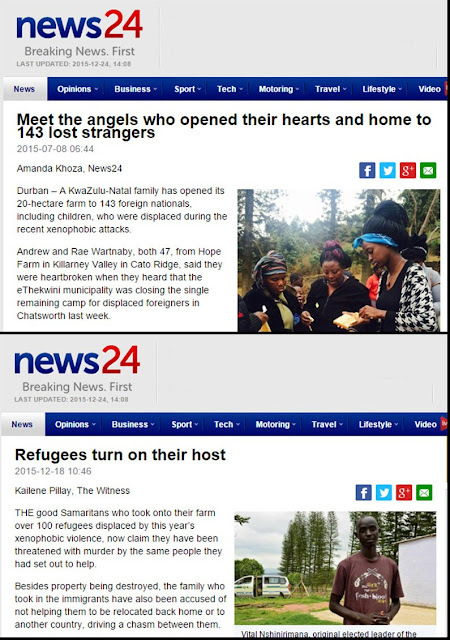 Zulu News TV: KZN farmers chased out of their farm by illegal foreigners they "adopted"
KZN farmers chased out of their farm by illegal foreigners they "adopted"
Two South African white farmers who opened their farm to hundreds of desperate illegal immigrants after a spate of xenophobia incidents have had to flee in fear for their lives after their adopted “refugees” took over their farm and physically drove them off. According to a report on News24, the two leftists, Andrew and Rae Wartnaby, have been threatened with murder by the same people they had set out to help. The drama began in July 2015 when the Wartnabys “opened their 20-hectare farm to 143 foreign nationals, including children,” who were displaced during “xenophobic attacks” by South African blacks upon other black illegal immigrants from central Africa. 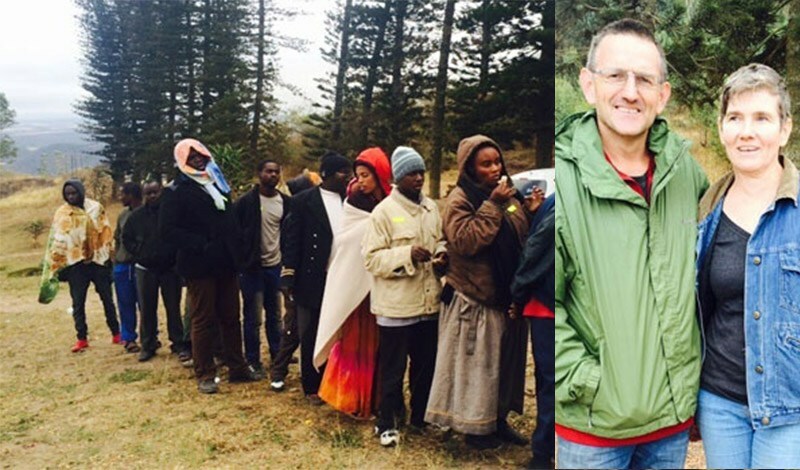 South Africa—which still is an attractive option for Africans, as it is far more advanced than their own self-created hellholes. Hundreds of thousands have poured across the borders, and locals have been incited against them, under the impression that they are going to compete for the rapidly declining number of “jobs” which the white population can provide.